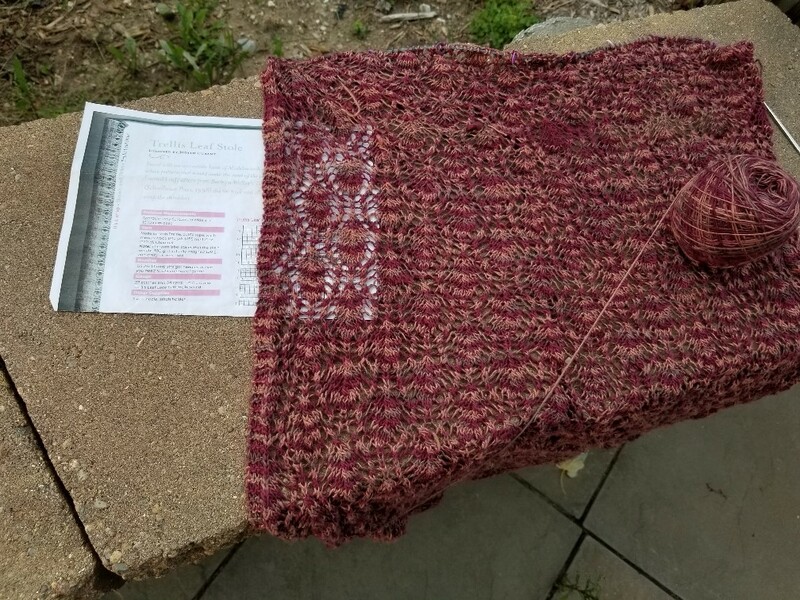 I really enjoyed this project and the yarn. 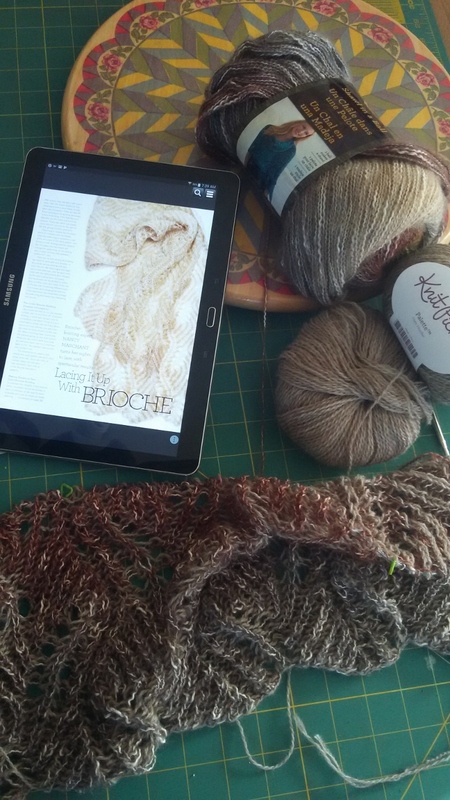 The yarn is a very soft “Desert Bloom Yarn” available from Sedona Knit Wits (see previous post for more info). This was my first attempt at Mosaic Knitting (there are MANY posts about this technique – a quick Google search will provide both videos and blog posts). It was fast, enjoyable, and kept my interest – particularly, this southwest-style pattern. I forgot that the yarn is a silk blend, and I was a bit aggressive in blocking. The final product is still lovely and soft, but definitely without any give.